Public toilets in Morpeth, including the ones in The Terrace car park near the library, will not be affected by the changes as the town council is responsible for the day-to-day running of them. Northumberland County Council has said it remains committed to ensuring public toilets continue to be provided following a review which will see some facilities closed during the winter or permanently. It looked at the 62 public toilets the council currently owns or operates across the county and proposes changes. Some facilities only provide a very basic provision, are expensive to operate and are no longer considered to be the best way of providing public toilets. The review has involved meetings with town and parish councils to discuss their needs and how best they can be provided, while more local businesses and organisations with customer toilets have been approached about joining the council’s You’re Welcome to use our Loos scheme, where local businesses are offered a £500 a year (£250 for winter) to make their toilet facilities available to the public, often resulting in an improved provision. It is expected to result in £120,000 of savings and, if approved, would recommend nine toilets being closed, winter closures for some, additional businesses and organisations joining the You’re Welcome scheme and the possibility of some funding support for those town and parish councils which want to take on responsibility for the day-to-day running of their local toilets. There is no change for the facilities in Morpeth, Ponteland and Cresswell. The changes that are set to take place are as follows. Alnmouth: Marine Road – discussions with the parish council regarding funding support to maintain existing opening hours, otherwise the toilets will be closed during the winter. Amble: Broomhill St toilets to close during the winter. Toilets are available at the Tourist Information Centre and additional provision is being secured via the You’re Welcome scheme. Ashington: Milburn Rd toilets to close. This is due to low usage and there already being provision in the town centre. Bamburgh: Church St toilets to close during the winter. The council is progressing the You’re Welcome scheme in the area. Links Car Park toilets to be fully closed, subject to discussions with Bamburgh Castle. Already closed during the winter. Berwick: The Promenade, Spittal toilets to close during the winter. The council is progressing the You’re Welcome scheme in the area. Magdalene Fields toilets to close during the winter. Blyth: Ranch Car Park, The Links, toilets to be closed. They are considered to be in a poor condition and alternative facilities are available. Temporary toilets will be made available as appropriate for community events. Holy Island: Crossgates toilets to be closed. The council is progressing the You’re Welcome scheme in the area. Longhoughton: Boulmer, Coastguard Cottage, toilets to be closed during winter. The council is progressing the You’re Welcome scheme in the area. Newbiggin: Prospect Place (Cresswell Arms) public toilets to be closed. The council is progressing the You’re Welcome scheme in the area. Public toilet provision also being considered as part of the proposals for the new library/public building. Newton-by-the-Sea: Low Newton-by-the-Sea, rear of Ship Inn, to be closed during winter. The council is progressing the You’re Welcome scheme in the area. Rothbury: Bridge St – discussions with the parish council about transferring the provision to the council as part of the plans to include a new Riverside play area and toilets. Seaton Delaval: Roundabout – discussions with the parish council regarding funding support to maintain existing opening hours, otherwise the toilets will be closed during the winter. Seaton Sluice: West Terrace near Seaton Sluice Harbour toilets to be closed, public toilets already at Fountainhead Bank Car Park. The council is progressing the You’re Welcome scheme in the area. Warkworth: New Town Car Park (Warkworth Beach) toilets to close during the winter. Brewery Lane toilets to close during the winter. The council is progressing the You’re Welcome scheme in the area. Wooler: Bus Station Car Park toilets – discussions with parish council regarding funding support to maintain existing opening hours, otherwise the toilets will be closed during the winter. The council is progressing the You’re Welcome scheme in the area. Customer toilets at Active Northumberland leisure centres and libraries will also be available for the public to use. The council currently spends around £600,000 a year on public toilets, with a third of the cost relating to the opening, closing, cleaning and restocking of the toilets. The average cost of running a toilet block per year, taking into account business rates, building maintenance and utility costs is between £8,000 and £14,000. There is no legal requirement to provide them. 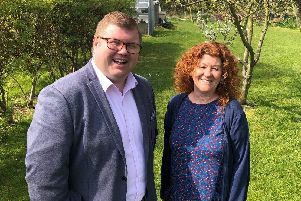 Cabinet member for local services, Coun Ian Swithenbank, said: “We know how important public toilets are to people and the positive impact they have on the local economy, tourism and in helping people to lead more active and independent lives. “Over the last couple of years, we have refurbished a number of facilities following years of under-investment. However, the council is faced with having to save £44million over the next two years due to Government cuts, so we have had no choice but to make savings to this budget. “We are keen to ensure the provision is of a good quality; often this can be provided more efficiently and effectively by local businesses and organisations through the ‘You’re welcome to use our Loos’ scheme, which we will promote further. “We are also working closely with parish and town councils to discuss their specific needs and what support is available locally to help provide this service. This has included some parish and town councils being keen to take over the day-to-day running of their toilets with some funding support from the county council. The review recommends that the closures will be implemented from November this year. It will be discussed by councillors at the communities and local services scrutiny committee next Wednesday.